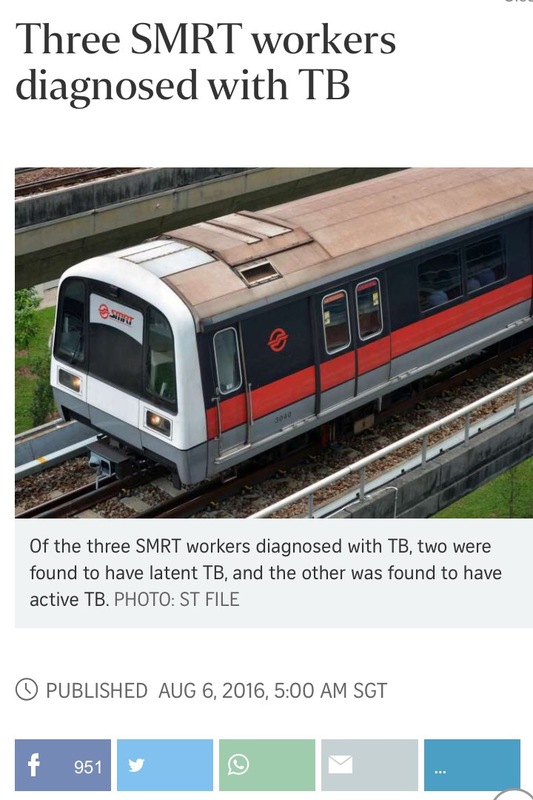 Curiously, a report of 2 SMRT train drivers and a crew manager being diagnosed with TB made it to the news today. Only one among them had active disease – the other two were diagnosed with latent tuberculosis which is non-infectious. Such cases are rarely highlighted in our mainstream media. The risk of tuberculosis being transmitted on an MRT train or public bus is minimal. The risk of a road traffic accident is far higher. Aerial spraying against mosquitoes took place in Wynwood, Florida. A highly controversial method for controlling Aedes mosquitoes, because the chemical used – an organophosphate insecticide called Naled – may not reach all the mosquitoes or their breeding sites. There was a new case of Zika reported in Miami outside Wynwood. The plasmid-borne colistin resistance mcr-1 gene continues to be reported from more countries. The latest is Scotland, in a traveler who was diagnosed with Salmonella infection (the Salmonella carried the resistance plasmid). The traveler had recently returned from Southeast Asia, where the plasmid was likely acquired.